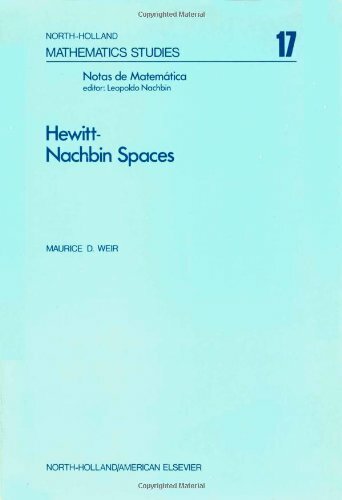 Hewitt-Nachbin spaces / Maurice D. Weir. 10^aHewitt-Nachbin spaces /^cMaurice D. Weir. ^aAmsterdam :^bNorth-Holland Pub. Co. ;^aNew York :^bAmerican Elsevier Pub. Co.,^c1975. ^avii, 270 p. :^bill. ;^c24 cm.